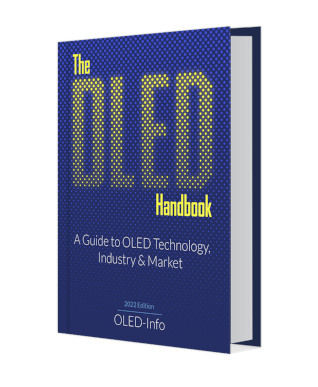 The E-Ink-Info team takes pleasure in recommending our new book - The Perovskite Handbook. This book gives a comprehensive introduction to perovskite materials, applications and industry. Perovskites offer a myriad of exciting properties and has great potential for the display industry. Market research firm Technavio says that the global e-paper market is expected to grow at a very fast rate of 39% CAGR. The top three segments of the e-paper market, according to Technavio, are e-readers, mobile displays and public displays. E-readers are still the main e-paper display application, and E Ink itself also says that the market is finally set to start growing after years of decline and stagnation. Amazon reportedly enjoyed tremendous success with its second annual Prime Day. 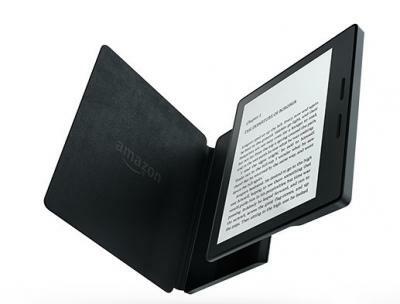 According to the Good E-Reader, one of the biggest success stories was the Kindle e-Reader - Amazon sold a few hundred thousand of its Kindles worldwide. Amazon offers several e-reader Kindles - from the basic models up to the high-end $290 Kindle Oasis. It's likely that most people opted for the cheaper, basic Kindle. E Ink Holdings reported their results for Q4 2014, with NT$793 million ($25 million USD) in net profit. The company suffered from an operating loss of $951 million ($30 million USD), but had a net profit due to royalties from the high-res FFS LCD manufacturing technology (used for the first time in an Apple iPhone). Royalties amounted to $NT3.56 billion ($110 million USD) in 2014. For the whole of 2014, E Ink's net profit dropped to $NT13 million ($420,000 USD) - down from $NT29 million ($930,000 USD) in 2013. E Ink reported their quarterly results - sales dropped 46% compared to last year, and the company's net loss was $33.6 million. E Ink expects e-reader sales in 2013 to be between 10 to 15 million (the same as in 2012). In 2011, around 30 million e-readers were sold. Back then analysts expected the market to grow (IDTechEx's "conservative" estimate was that it will grow to 60 million units in 2015) as nobody expected the tablet market to take over reading from e-readers. I still think one of the biggest problems in the e-reader market is that e-readers didn't really change in past years. Even the old Kindles offer a great reading experience and there isn't any compelling reason to upgrade. That's actually very good for everyone (Us consumers, Amazon who makes money from books and not e-readers, and mother earth) - except E Ink themselves, of course. E Ink said it expects its second half revenues to grow significantly from the first half - not just because of season factors - they expect new e-reader products in north america to re-ignite the e-reader market. E Ink also revealed that Rakuten (a Japanese e-commerce and internet company that owns Kobo) sold 100,000 e-readers in Japan since the launch last month. E Ink plans to focus on non e-reader applications in the future to improve profitability. They expect demand for e-tags for convenience stores and supermarkets to "explode" next year. E Ink Holdings posted their financial results for 2011 - with $220 million in net profit, up 59% compared to 2010. Gross margin in 4Q dropped compared to last quarter as the company saw a rise in FFS panel shipments (mostly to the Kindle fire probably) - which carry a lower margin compared to EPD products. EIH's Chairman, Scott Lu said that the company isn't ramping up its Triton color E Ink product (this is probably in response to the color Kindle rumor). The company is working on a next-gen color E Ink display and it is expected by 4Q 2012. E Ink also reveals that it will release flexible plastic-based E-Ink displays in 3Q or 4Q of 2012. Will e-readers manage to survive? E Ink Holdings published their January financial results, and the revenue was about $48 million - which is a 63% drop compared to last year (and 11% drop compared to December). Despite this the company is still expected to post revenues of over NT$40 billion in 2012 - a 5% increase over 2011. Some say that this marks the "end of the e-reader" - with tablets clearly winning the race. Some analysts are suggesting that Amazon will sell less Kindle e-readers in 2012 then was expected, but more Kindle Fires. This is an interesting debate. Most people agree that a dedicated e-paper reader is far better as a reading device but tablets are obviously much more versatile. E Ink Holdings says they expect e-paper shipments for e-readers to increase over 50% in 2H 2011. They now project total 2011 shipments of 25-30 million (up from 2030 million, the previous estimate).